The most recent outing from Sebastian Bach sees him recruiting a few other well-known musicians to help out. Steve Stevens, John 5 and Duff McKagan (who handled the majority of bass playing duties, I believe) all lend a hand in the recording and writing process of Give ‘Em Hell. For the most part, this album continues down the path of modern hard rock & heavy metal that Baz has been walking on for quite some time. While Sebastian has publicly said he’d like to do a reunion with the rest of Skid Row, he isn’t spending his days as a solo act trying to recreate the vibe of his old band. Well, Skid Row was always heavier than the rest of the hair metal acts and heaviness is something Bach has retained as a solo artist but he’s not trying to put out new songs that sound like it’s still 1989. In his mid-40s, Bach shows no sign of slowing down or softening up whether you’re talking about his approach to singing or the content of the songs themselves. Sebastian is a controversial figure at times due to his opinions but you can’t take away that he’s one of the best singers (if not THE best) of his generation. Bach is still going all out on vocals on this album and that’s a testament to his natural born abilities and training as a singer to still be able to do what he does after so many years. As for the music itself, Give ‘Em Hell finds Sebastian doing exactly that — giving ’em hell. I don’t think this album is as melodic as his last two albums were but this is the most consistently heavy album Bach has done yet (the heaviest solo song he’s ever done would still probably be Angel Down‘s “American Metalhead”). Bobby Jarzombek is still a monster on the drums and the album is full of crunchy riffs. There are two occasions when this album lets up: the power ballad “Had Enough” and “Rock N’ Roll is a Vicious Game” (an April Wine cover). After Bach’s last two albums delivered exception ballads, I was really looking forward to what, if any, ballads would appear here. Unfortunately, “Had Enough” falls a bit short in comparison to the likes of “I’m Alive”, “By Your Side” and “Falling Into You” but it is still a fine track. The April Wine cover is a song I’m not familiar with and given the style of the rest of the album, it sticks out like a sore thumb. It’s not bad, just odd-sounding given that the rest of the album comes across as pretty modern rock/metal. 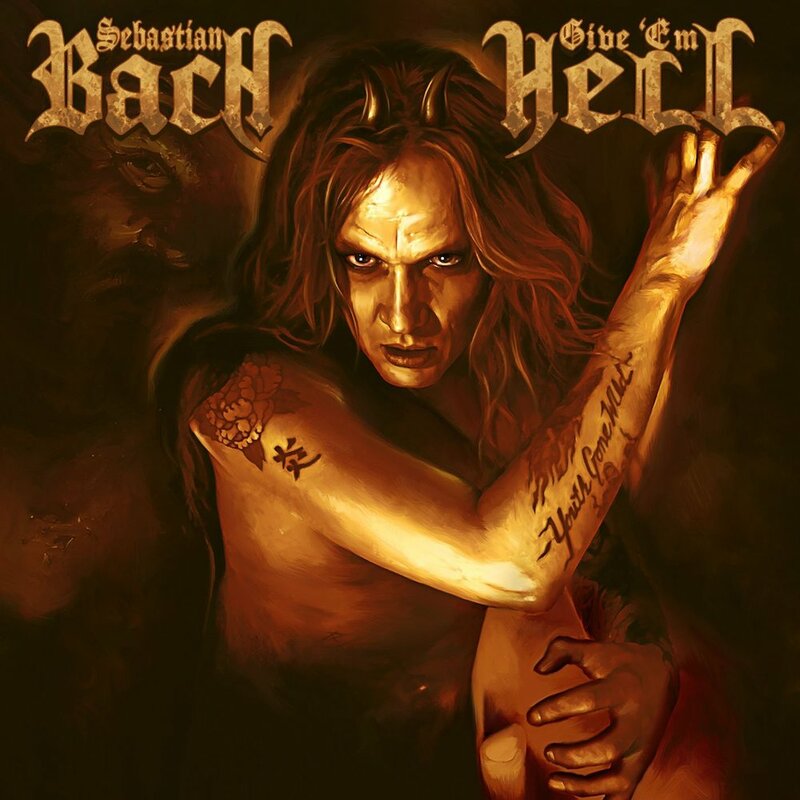 I have a big soft spot for Angel Down (that album still holds my favorite Sebastian Bach songs) but in addition to being consistently heavy, Give ‘Em Hell may be Bach’s most consistent album from a quality standpoint. Personally speaking, Kicking & Screaming has been one of the most anticipated albums of 2011. Angel Down was one of my favorite releases from 2007 and it has turned out to be one of those albums that I will still check out every once and awhile. Fans of that album will enjoy Kicking & Screaming as well. This album has a good mix of heavy metal and melodic hard rock. Though it is not as heavy as the last album it does indeed rock hard. What I’ve always respected about Sebastian is that he doesn’t want to live in the past or get by based on what’s already been done. Whenever he puts out new music, he isn’t trying to make you think it’s 1989. While most of these songs have more melody than any new stuff you’re bound to hear on the radio, they would not sound out of place at all on radio because there’s no retro vibe going on here. It’s all modern melodic rock/metal and “Caught In A Dream” displays that perfectly and should be a hit on radio. Anyway, as with Bach’s last effort it seems the more I listen to this album the more I like it. When I first listened to it there were some immediate standouts like “Kicking & Screaming” (fantastic), “As Long As I Got The Music” and “I’m Alive” (a great ballad right up there with Angel Down‘s “By Your Side” and “Falling Into You”). The second time around, I started to get into “Live The Life” and “Wishin'”. On my third listen I was picking up on “Tunnelvision”, “Dream Forever” and “My Own Worst Enemy”. Basically, it’s gotten to the point where I like every song. By the way, if I were to make a ‘best songs’ list for the year, “Kicking & Screaming” would definitely be on it. Great track. Another trend is Sebastian continues to surround himself with some top notch musicians. Bobby Jarzombek is back again on drums and is just a monster. Underrated drummer, in my opinion. As for Nick Sterling? For some time Bach has been bragging a lot about his new guitarist and guess what? He’s right! Nick does a great job and even plays bass on the album. And let’s not forget about Baz himself — always a great vocalist, a standout in his field and this album is no exception. Bach comes from that rare breed of singers whose vocal abilities just do not wear down over time. Phenomenal. So. The verdict? Kicking & Screaming is full of heavy melodic songs and zero filler. It’s one of the year’s best offerings and an album I can imagine I’ll be playing for some time to come. Bach is BACK, ladies and gentlemen. Y’know, I never cared to pick up Bach’s first solo album back with that was new (released way back in 1999), but I was pumped for this one. The songs I was hearing online sounded good (“By My Side” really won me over), plus the fact that AXL ROSE sings on three of the tracks here, I just had to have it. It’s definitely not what I was expecting. I was assuming more of a 70s/80s hard rock vibe, but it’s actually a pretty modern heavy metal album, IMO, outside of a few tracks. No doubt, this sound came about thanks to the musicians found on the album: Bobby Jarzombek (Halford, Iced Earth), Steve DiGiorgio (Death, Iced Earth, Testament) and “Metal” Mike Chlasciak (Halford). They all had a hand in writing/co-writing the songs, as did the album’s producer Roy Z, who has produced albums for Bruce Dickinson, all three Halford albums and Judas Priest’s Angel of Retribution and Nostradamus. Of course, Baz gets writing credits here too, though I supposed he probably helped with the lyrics more than anything else if his past work in Skid Row is any indication. The three Axl tracks are three of the best from the album. 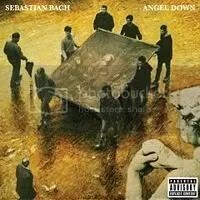 There’s the awesome cover of Aerosmith’s “Back in the Saddle”, which places Axl right beside Sebastian on vocals, then “(Love Is) A Bitchslap”, and finally the modern rock sounding “Stuck Inside” (all conveniently are lumped together on the album). Axl’s voice sounds great on all of these and both really did great with the vocals on “Stuck Inside”. Believe or not, in the midst of Axl Rose and all these metal musicians, a co-written Desmond Child song pops up (“Falling Into You”) and it’s pretty good. “By Your Side” is a great ballad and sounds like it belongs in the year 1988 (and I mean that as a compliment). I’ve heard a live radio brodcast of that song and Bach nails it exactly like he does on the album. Overall, it’s a very good release, one of the better releases I heard in 2007. Though, it can be a bit of a mixed bag. The songs are all over the place: 70s hard rock (“Back in the Saddle”), modern hard rock (“Stuck Inside”), 80s ballads (“Falling Into You”, “By Your Side”) and modern heavy metal (“American Metalhead”, “Take You Down With Me”). The more heavy metal songs tend to blend in together and sound like one really long song, most of which “Metal” Mike and/or Roy Z had a hand in co-writing. A shame the album didn’t do better, I figured especially with Axl doing vocals Angel Down would manage to scrape the very bottom of the Billboard 100 at least. But it was not to be, I think first week sales were just north of 6,000 copies. “(Love Is) A Bitchslap” was a poor choice as the lead single anyway, I think. It’s a great song, but “Back in the Saddle” would’ve been a safer choice (especially since Axl is featured prominently on it) and then I would’ve followed up with “Stuck Inside” which has a really modern hard rock sound that would’ve been suited prefectly for radio.